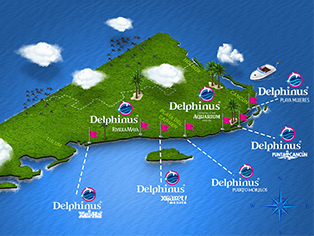 Cancun, Quintana Roo January 17th, 2018– Delphinus is participating in the largest-ever, multi-institutional study of how physical habitat, environmental enrichment, and animal training impact the welfare of cetaceans in zoos and aquariums worldwide. 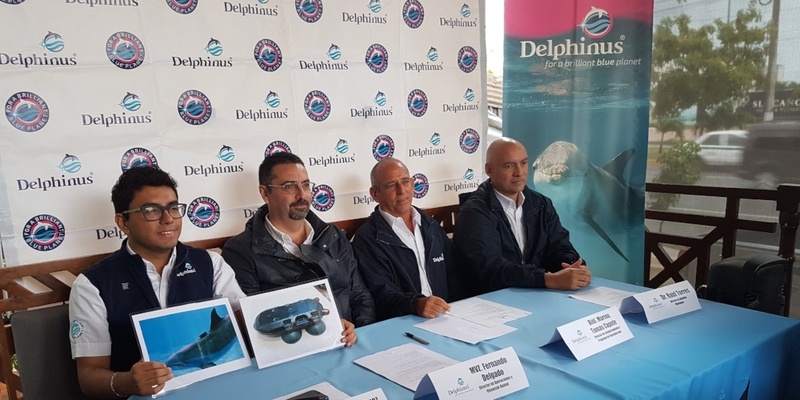 This study will take place across 44 accredited facilities in seven countries where scientists will gather data regarding approximately 290 common and Indo-Pacific bottlenose dolphins (Tursiops truncatus), 20 beluga whales (Delphinapterus leucas) and eight Pacific white-sided dolphins (Lagenorhynchus obliquidens). Bottlenose dolphins, the most common cetacean in zoos and aquariums, are generally regarded as a species that thrives in professional care. But there is a surprising lack of scientific-based inquiry into what conditions optimize good welfare of cetaceans in managed environments; most animal-care decisions are made using information gained from research on a smaller scale combined with professional judgment from decades of experience. This study seeks to fill that void by collecting robust and objective data that can help inform future facility design, enrichment, and training programs. 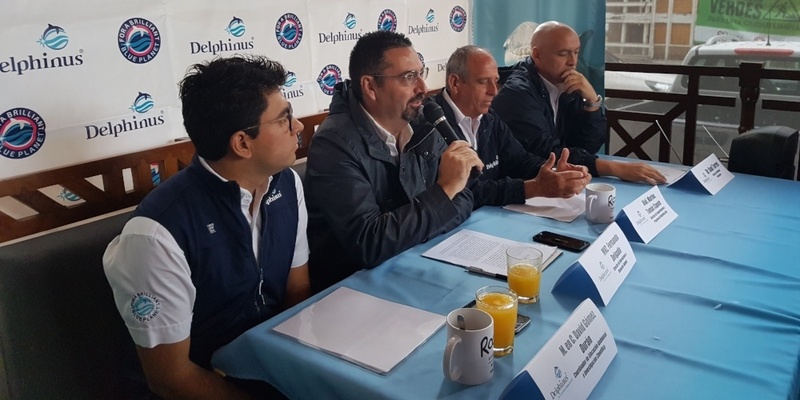 “For Delphinus it is essential to collaborate in this vast study because it is important for us to have a solid scientific and technical base of the dolphins under our care. Firstly, to improve what it needs to be improved, but above all to offer certainty to decision makers, lawgivers, academics, mass media, and even organizations that care about animal rights, that the cetaceans under our shelter live in a fully, healthy, but moreover, playing a very important role in education and awareness to our visitors.” Said Rodrigo Constandse Córdova, CEO at Delphinus. Approximately $740,000 in funding is being provided through a National Leadership Grant from the Institute of Museum and Library Services, with additional funding from partner facilities. 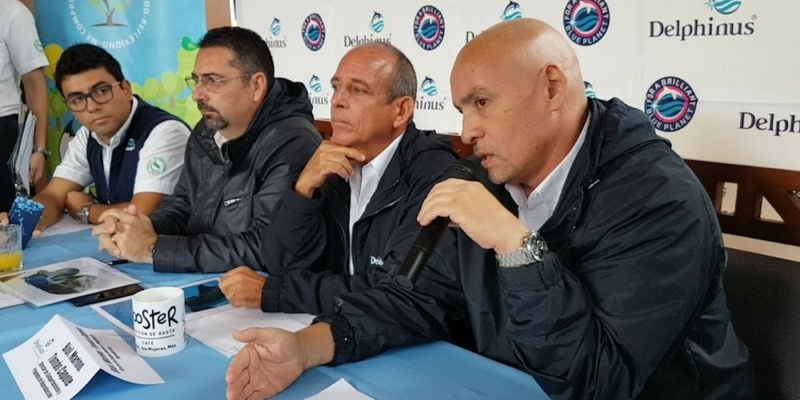 For the particular case of Delphinus, it has been considered to integrate 80% of their population of dolphins, in other words, 68 specimens (23% of the sample of dolphins Tursiops truncatus) that inhabit the 7 habitats that the company has throughout the north coast of Quintana Roo state. There are two main objectives of the cetacean study: developing reference ranges for indicators of health and welfare for cetaceans in zoos and aquariums and identifying factors that influence the welfare of bottlenose dolphins. Researchers will attempt to quantify welfare by measuring activity and movement through a bio-logging device worn by the dolphins, through observation of video taped segments, and through measuring hormones and other biomarkers of health and welfare. “Cetaceans currently receive high levels of care in accredited zoos and aquariums around the world, but it is important to use science to cultivate best practices and make continuous improvements,” said Lance Miller, Ph.D., senior director of animal welfare research for the Chicago Zoological Society, and one of the principal investigators on the study. Data collection will take place in two timeframes – July/August of 2018 and January/February of 2019. Then, data analysis will be conducted by the six principal investigators and additional project staff over the following two years, and research will likely be published in 2020. Cetaceans currently receive high levels of care in accredited zoos and aquariums around the world, but it is important to use science to cultivate best practices and make continuous improvements. How do habitat characteristics impact environment use, energy expenditure, and swimming behavior of bottlenose dolphins? How does environmental enrichment influence behavioral and physiological indicators of animal welfare? How does the type and timing of animal training influence behavioral and physiological indicators of welfare? Principal investigators include Lance Miller, Ph.D., senior director of animal welfare research for the Chicago Zoological Society; Lisa Lauderdale, Ph.D., a postdoctoral fellow in the Animal Welfare Research department for the Chicago Zoological Society; Joy Mench, Ph.D., professor emeritus in the Department of Animal Science at the University of California, Davis; Jill Mellen, Ph.D., affiliate professor from Portland State University Biology Department; Michael Walsh, DVM, clinical associate professor at the University of Florida College of Veterinary Medicine; and Douglas Granger, Ph.D., professor and director of the Institute for Interdisciplinary Salivary Bioscience Research at the University of California, Irvine.